The diesel scandal in 2015 in which Volkswagen admitted manipulating 11 million diesel vehicles worldwide to fool pollution tests only briefly dented the firm's profits. Geneva, Switzerland: The rise of electric cars heralds not only a major technology switch but also promises massive disruption to today's auto giants as Tesla and a group of powerful Chinese rivals take over the fast lane. However industry insiders say it may have spurred the shift away from conventional internal combustion engines. "'Dieselgate' is becoming a catastrophe because it has accelerated" the transition to electric motors and "that puts Chinese competitors into play", said one European automaker executive on condition of anonymity. The extent to which the trend towards electric cars is gaining traction will be visible this week at the Geneva motor show. The switch to electric motors threatens to eliminate an advantage that today's carmakers enjoy. They invested billions in research into developing and refining internal combustion engines, both to provide the perfomance drivers expect but also to meet increasingly demanding pollution regulations. Experts said this constituted a virtually insurmountable "market barrier to entry" for new competitors. "Clearly, an electric powertrain is much simpler" to manufacture, said Eric Kirstetter, an auto sector expert at the Roland Berger consulting firm. "The best indicator of market openness this is creating is what is happening in China at the moment," he added. Roland Berger has identified more than 30 new companies in the electric car market. Among those start-ups he cited were Lynk & Co (a joint venture between Geely and Volvo); NIO, backed by Chinese tech giants; FMC, run by former BMW and Tesla staffers, as well as Chehejia, whose founder is nicknamed "China's Elon Musk", the founder of Tesla. A look at the top sellers of electric cars shows that traditional carmakers are in for a shock. However it was China's BAIC that stormed to first place with 78,000 sales for its EC series. The only other traditional carmaker in the top ten is US carmaker Chevrolet (part of General Motors) thanks to the Chevy Bolt. All the others are Chinese: ZD, BYD, Zotye, JAC, Geely. They all profit from measures the Chinese government has put in place to encourage the development and purchase of electric vehicles, as Beijing seeks to limit air pollution in the face of growing demand for private vehicles. On that list are no German carmakers, which have dominated both the mass and luxury segments in recent years. 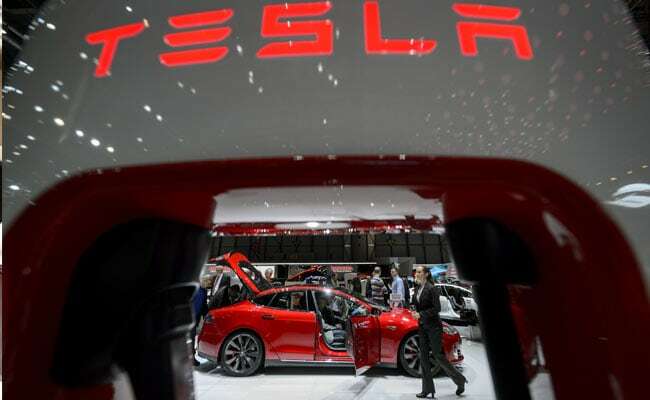 In the United States, Tesla already sells as many cars as Porsche, part of the Volkswagen group. German carmakers, which pioneered the development of diesel motors for automobiles, bet on refining the engines to meet ever stricter air pollution restrictions, before the VW scandal prompted a regulatory rethink and prodded consumers to choose alternatives as cities begin cracking down on dirty cars. Led by VW, German carmakers have announced billions in additional investment to bring out hybrid and electric vehicles. Electric vehicles account for only 1 percent of the market currently. But with a 50 percent growth rate they are expected to rapidly become a significant segment in the market. According to forecasts by Roland Berger, electric vehicles will account for 15 percent of sales in Europe and 17 percent in China the world's largest car market in 2025. Today's big carmakers have one advantage to help them catch up with the start-ups in addition to their deep pockets manufacturing experience. Tesla has learned this the hard way with the difficulties it has experienced with ramping up production of its mass market Model 3. "You can't compare at all manufacturing 500,000 cars with making 5,000," said Meissa Tal, an automobile analyst at Deloitte. "A vehicle is more than 10,000 pieces that are coming from thousands of suppliers, you have to know how to assemble in volumes that are in the millions, that is where the know-how of the manufacturers is," she added. "It's not so difficult to do one perhaps, but mass producing electric vehicles, not many manufacturers (have had) a big success on that so far," said Gareth Dunsmore, who heads up electric vehicles for Nissan in Europe, which has just launched its second-generation Leaf electric vehicle. Nissan's partner Renault has also been busy scaling up its production capacity. "Over the last year or so we've seen a very fast acceleration" in orders, in particular for the compact Zoe, said Gilles Normand, Renault's head of electric vehicles. "We are going to nearly double our capacity to build electric engines in 2018 compared to 2017.